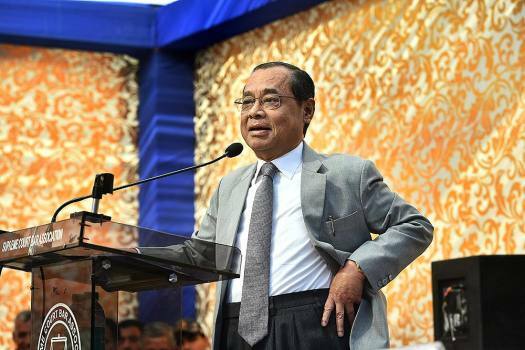 Chief Justice Ranjan Gogoi speaks during Justice Arjan Kumar Sikri's farewell program at Supreme Court, in New Delhi. 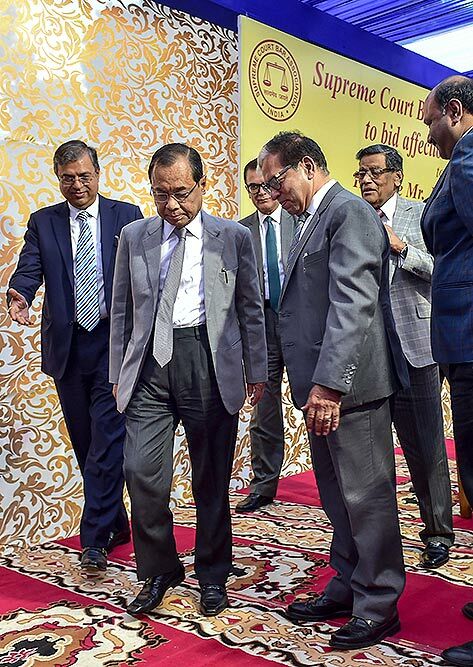 Chief Justice Ranjan Gogoi and Justice Arjan Kumar Sikri (R) during the latter's farewell program at Supreme Court, in New Delhi. 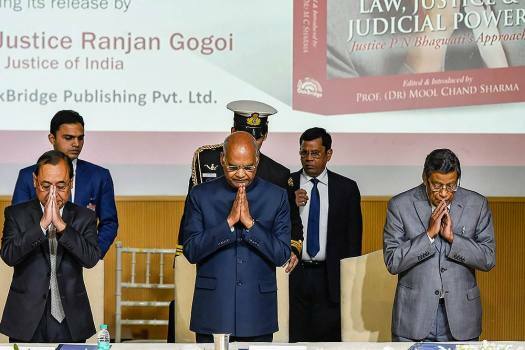 Chief Justice of India Justice Ranjan Gogoi during an event to present the first copy of 'Law, Justice & Judicial Power' to the President, in New Delhi. 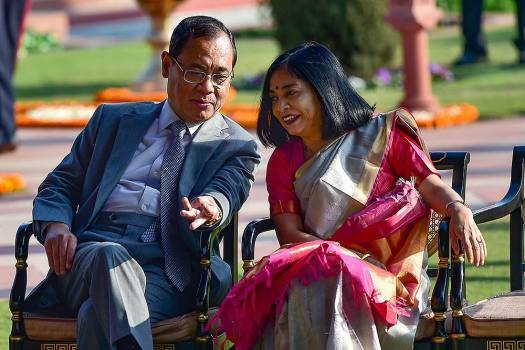 Chief Justice of India Ranjan Gogoi with his wife during the Republic Day 'At Home' at Rashtrapati Bhavan in New Delhi. 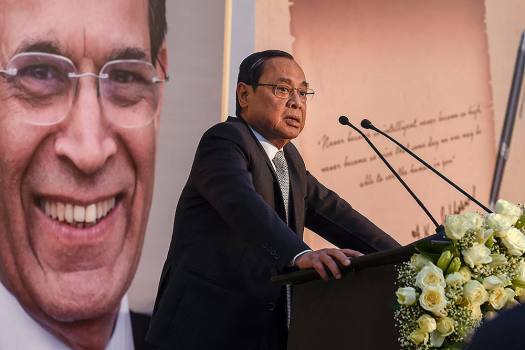 Chief Justice of India Ranjan Gogoi speaks during a book release, in New Delhi. 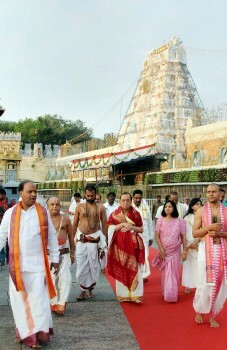 Chief Justice of India, Justice Ranjan Gogoi offers prayers at the hill temple of Lord Venkateswara at Tirumala in Tirupati. 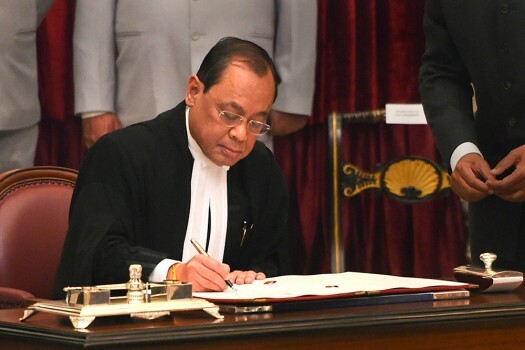 Justice Ranjan Gogoi signs the register after taking his oath of office on being appointed as the 46th Chief Justice of India, at Rashtrapati Bhawan in New Delhi. 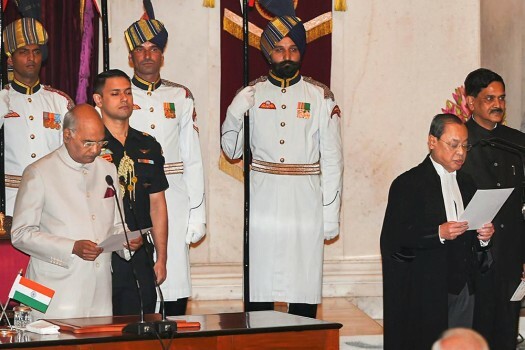 President Ram Nath Kovind administers oath of office to Justice Ranjan Gogoi after he was appointed as the 46th Chief Justice of India, at Rashtrapati Bhawan in New Delhi. 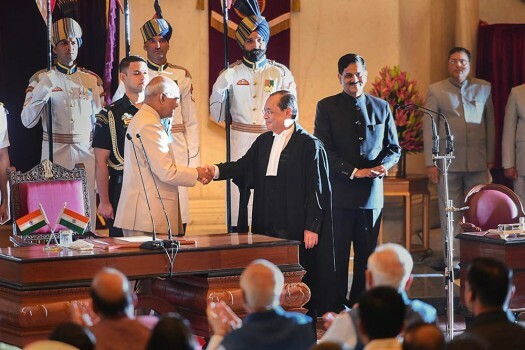 Outgoing Chief Justice of India Justice Dipak Misra (R) and CJI-designate Justice Ranjan Gogoi during his farewell function on the Supreme Court lawns, in New Delhi. 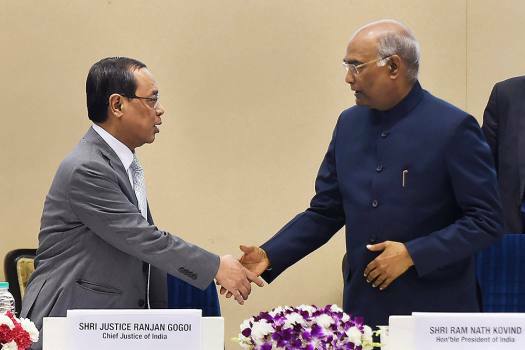 Justice Joseph had clarified that Justice Chelameswar had proposed the idea of the press conference and the rest three had agreed with him. 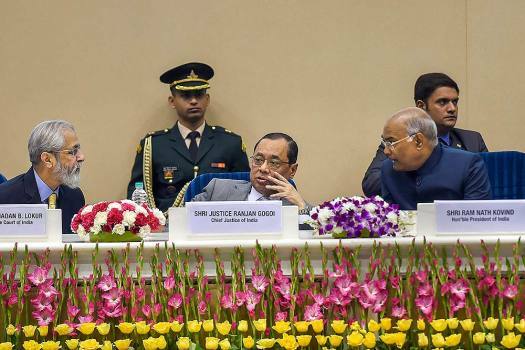 Justice Kurian Joseph said there were “perceptible signs of influence with regard to allocation of cases to different benches selectively”. 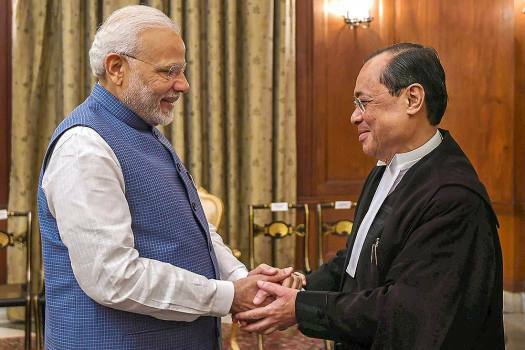 The CJI said that he had a talk with Prime Minister Narendra Modi during a dinner and had told him that this year the Supreme Court will organise the Constitution Day function, and all arrangements were made by the Supreme Court this year. 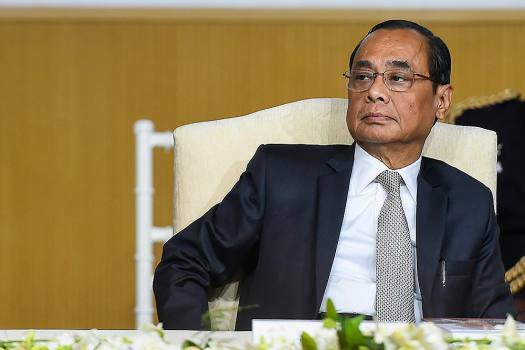 What was Justice Gogoi so upset about regarding the CBI hearing? 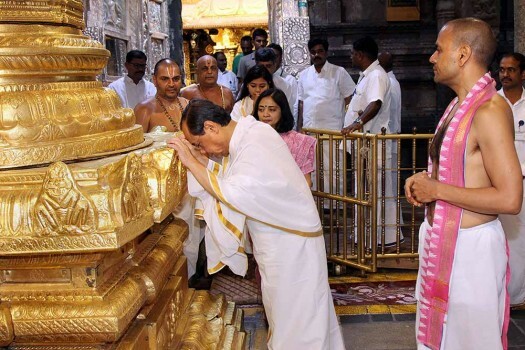 It was much ado about nothing. 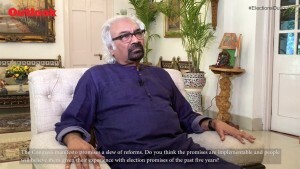 But it is extremely demoralising to make disparaging comments against independent media. 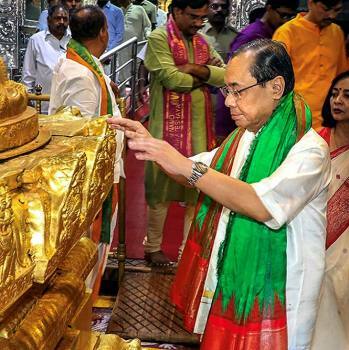 Gogoi took over as the 46th Chief Justice of India on October 3. 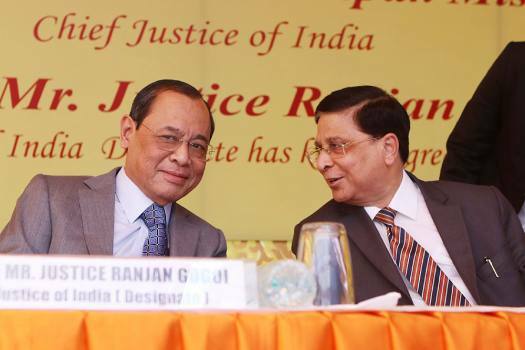 Outgoing CJI Dipak Misra said on Monday Indian judiciary is the strongest judiciary in the world having capability to handle mind boggling number of cases. 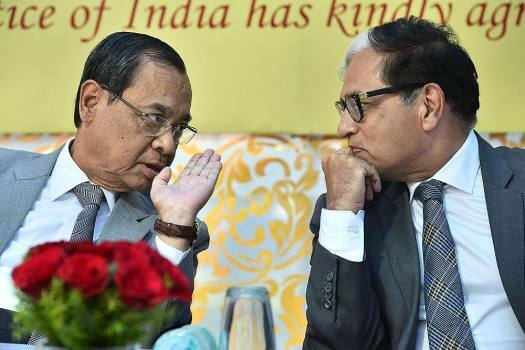 ‘Impeachment Of CJI Is Nonsensical. Don’t Encourage The Idea’. 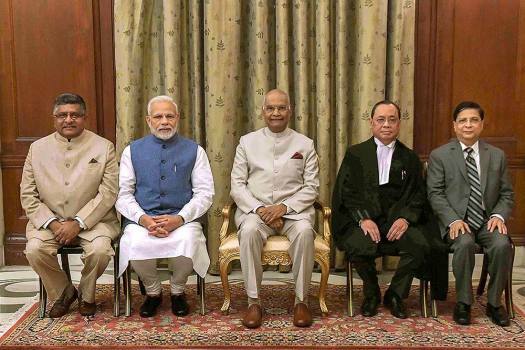 Eminent jur­ist and former Attorney General of India Soli Sorabjee on impeachment motion against the CJI, the unprecedented press-conference by the four senior-most judges of the Supreme Court, and the rights of the CJI as 'master of the roster'. 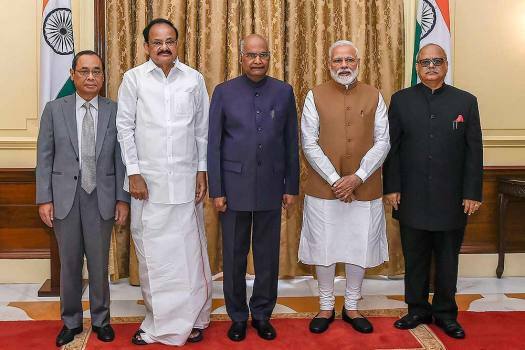 The ‘mutiny’ raises some fundamental questions about the judiciary, and its relation with the executive. 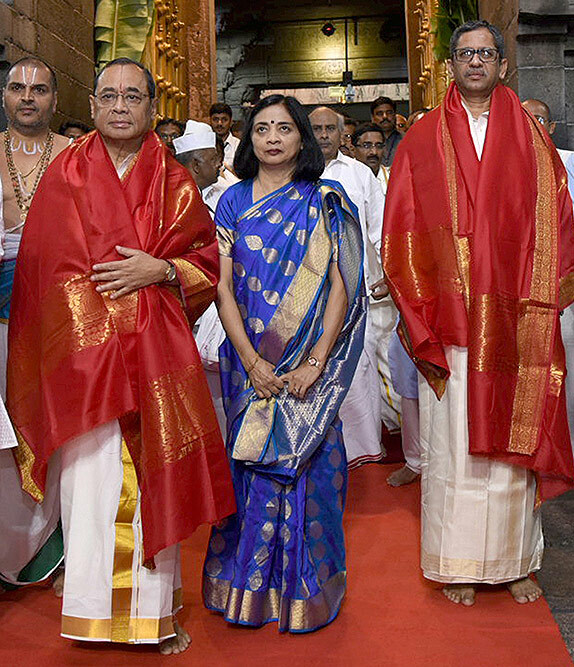 It was a moment of rupture created by many backstories.